November | 2015 | IS THERE JUSTICE IN THE CHURCH OF GOD IN CHRIST? 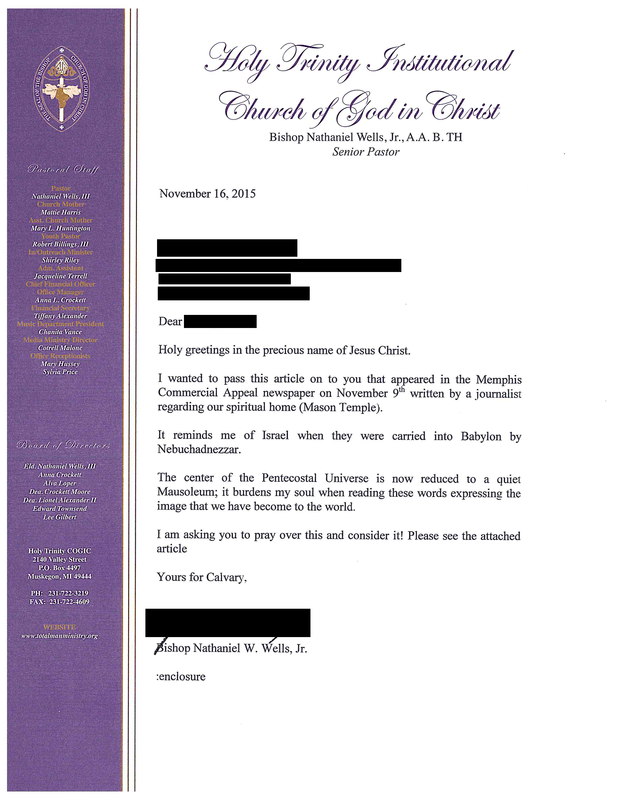 Here is a letter written by Bishop Nathaniel Wells, in reaction to a column written by David Waters in the Memphis Commercial Appeal . Here is a link to a PDF of that article. 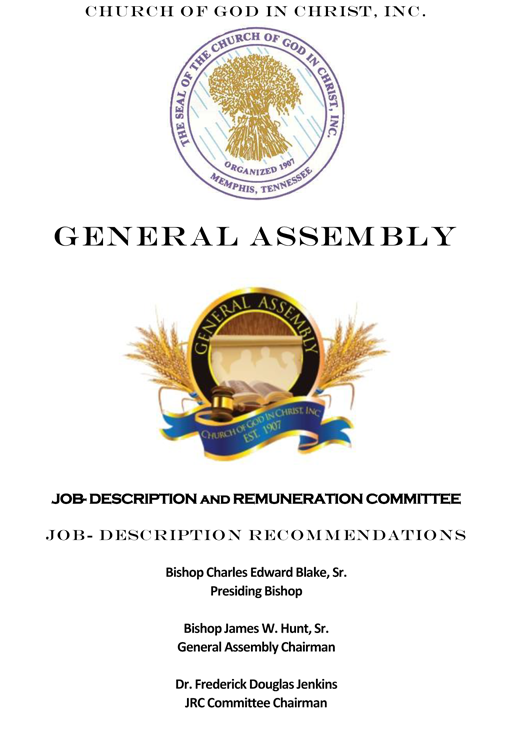 Click this link to read the Job Description and Remuneration Booklet which was passed out at the November 2015 General Assembly. Here is a link for the Job Description and Remuneration Report. This booklet details the qualifications and the duties of all the elected officials. It also details the areas of authority each official and Branch or Department has.